With the official release of SQL Azure less than three weeks away, we are starting to see mainstream vendor support for SQL Azure. Telerik’s OpenAccess ORM is no exception. With the Q3 release of OpenAccess next week, OpenAccess will have full support for SQL Azure, going further than the basic support available today that I demonstrated on my blog last month. Full wizard support, forward and reverse mapping, and of course data services support via the Telerik Data Services Wizard. Let’s take a look at the basics here. After you connect and finish the wizard, it is time to do some mapping. To map some database objects to persistent classes, choose the Reverse Mapping wizard. This will bring up the Reverse Mapping dialog where you can select which tables, views, and stored procedures you want to map. In this case I will just select all of the defaults and map all of Northwind (remember I migrated Northwind up to SQL Azure.) Now it is time to build a simple application. Next we will create our LINQ statement. The LINQ statement will work like any LINQ statement in OpenAccess, there is nothing special for SQL Azure, this LINQ statement would work against SQL Server, MySQL, or Oracle. 7:                   where c.Country == "Germany"
Pretty basic application, however, you can see that Telerik OpenAccess has full support for SQL Azure. Next week I will show a more complete example. Sometimes your friends and colleagues want to keep partying well after the bar is closed. At the last BASTA confrence in Germany last month, I retired around 2am well after the we shut down the bar. My colleagues lead by fellow Telerik employee Peter Brunner and thinktecture’s Christian Weyer aka the tall German, decided to keep drinking and raided their minibars. When they exhausted their minibars, they came to my room. Posing as housekeeping they come to my room in the middle of the night to wake me up. They even turn around my do not disturb sign to “come on in.” I knew it was not housekeeping, but I did not expect a party at my door. After I answer the door in my underwear, I give them a tour of my “roomlet” as well as drink a beer before kicking them out. Christian Weyer and I also play with my beer stein Oktoberfest hat that I won at Oktoberfest-it is not meant to fit on a normal human’s head, but it does fit Christian’s. Daniel Walzenbach caught this all on film. The developer ecosystem is starting to rally around SQL Azure, and that is a healthy thing. 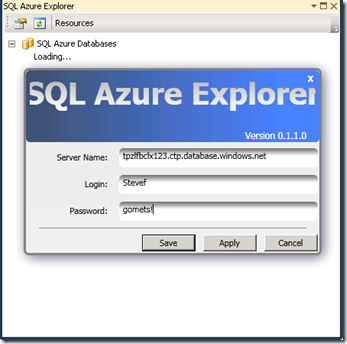 I stumbled across this neat SQL Azure query tool from Microguru today. 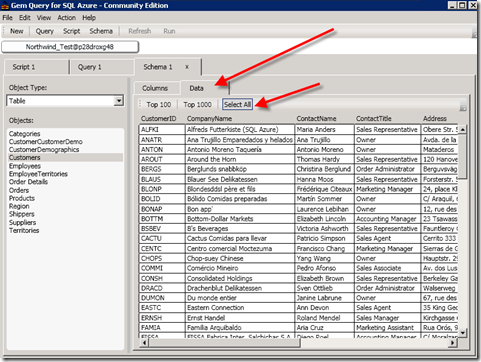 It is called the Gem Query Tool for SQL Azure and you can download it here. It uses the .NET Framework 3.51 and is pretty lightweight. The cool thing is that it has a community edition that is free to use. provides an intuitive user interface to connect to and work with SQL Azure databases. 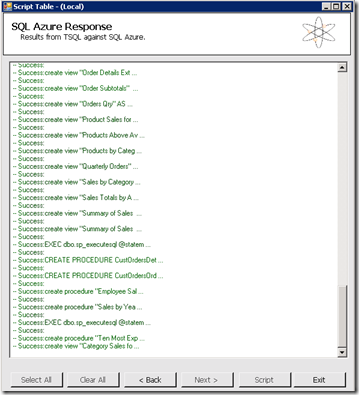 Gem Query Tool supports execution of any DDL and DML script supported by SQL Azure. 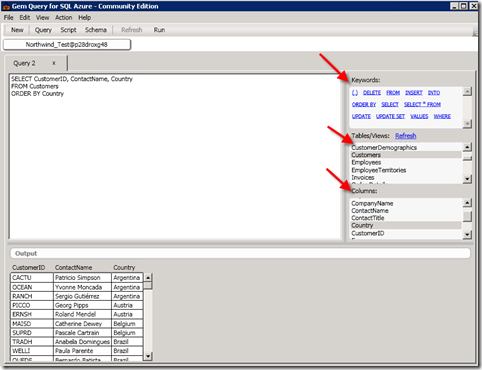 To facilitate authoring of SQL queries, Gem Query Tool for SQL Azure displays tables and columns in your database. Access to this metadata is important after you have migrated some data since some of the data types or defaults may not be what you expect. 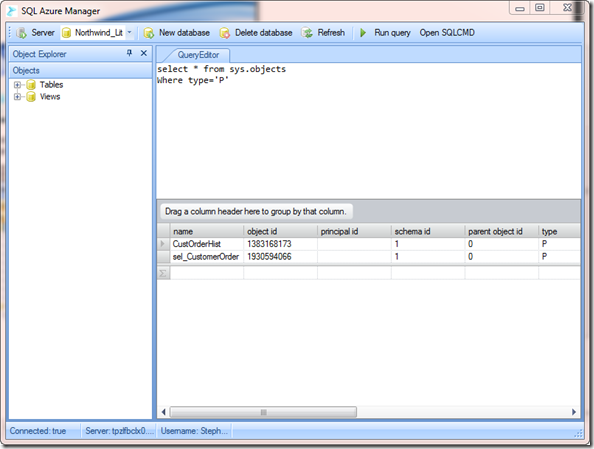 I also like that when you click on a database object you have a “column” or “data” view. When you click on the “data” tab, you will have the option to select the Top 100, Top 1000 (pretty convenient) and All. 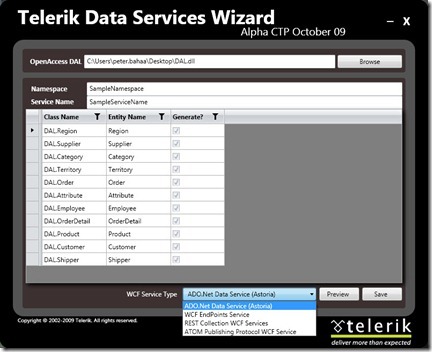 The Telerik WCF Wizard that I have shown on this blog several times has been updated and is available on Telerik Labs for download. Whenever Telerik puts something up on Telerik Labs we hope that some early adopters will try it out and give us feedback. We had an amazing demand for the Telerik OpenAccess WCF wizard and got tons of feedback. The most overwhelming piece of feedback is the name of the wizard: so as of this CTP, the wizard is now renamed the Telerik Data Services Wizard. We made some key enhancements in this build for useability. The big thing is that you no longer have to be an ADMIN user to use the wizard. In addition, we made some of the navigation simpler as well as squashed some bugs (mostly around using LINQ statements in older versions of OpenAccess). Speaking of older versions of OpenAccess, the wizard will automatically detect what version of OpenAccess you have installed and auto-update itself to work with that version. We’re working around the clock on a new build that will have Visual Studio integration and a new UI that is more consistent with the OpenAccess UI. A little further out, we will also include support for ADO.NET Data Services 1.5 CTP2 using the new “data service provider” interface available in Astoria 1.5. Once we are at that point, we will release this a full fledged beta with a target for the wizard to be part of OpenAccess proper by Q1 release next year at the latest. As you most likely know by now, SQL Azure is now on production servers and the team is feature complete for the PDC build. What is funny is that they did a migration in the middle of the night on Tuesday, right smack dab in the middle of the day in Bulgaria where I was demoing SQL Azure at DevReach. That lead to some funny demos crashing. What fun! The good news is that SQL Azure now supports BCP, so you should be able to easier bulk load data on into SQL Azure. 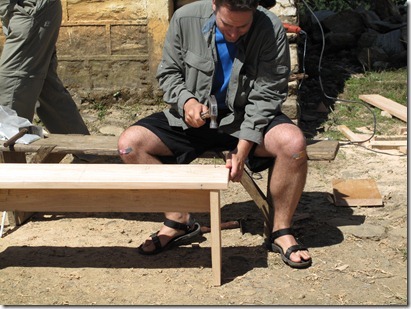 No more crazy work around like the ones I posted on this blog and on many others. Another new feature, which took me a while to discover when all of my unit tests failed, is a firewall. You can now specify which IP Addresses can access your SQL Azure account. At first this kind of pissed me off, but I like that I can completely control who can access my account. (Especially since Microsoft will start charging soon for SQL Azure.) To set your allowed IP Addresses, just click on the “Firewall” tab in the SQL Azure manager and add a range of IP Addresses and you will be in good shape. Anyway, SQL Azure support is improved in SQL Server Management Studio, however, you still can’t use the object explorer. I reviewed SQL Azure manager a week or two ago, and that still works as advertised against the new production builds. If you are working with Visual Studio 2010 beta2 that shipped this week, you can use a refreshed version of the SQL Azure Explorer. The 0.2.2 version is built specifically for VS 2010 b2 and is very stable, the author on codeplex marked it now as a beta. After you download and install SQL Azure Explorer, you have to go into Visual Studio and enable extensions. You can do this via Tools|Extension Manager. 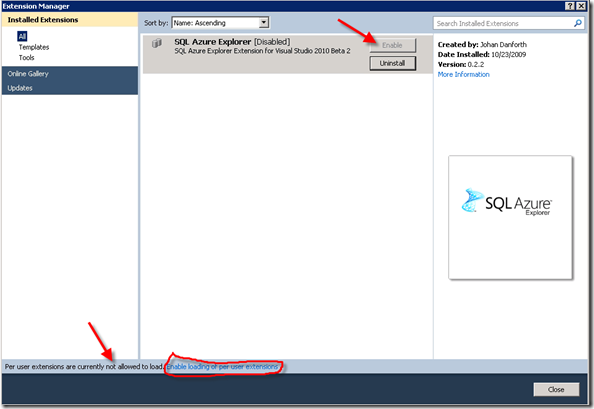 You will see that SQL Azure Explorer is disabled and extensions are not available. You have to click on the hyperlink and then check the allow button in the dialog that follows. After you close and reopen Visual Studio, you will see SQL Azure Manager as the first item in the Tools menu. There have been some major speed improvements to the login and object view process. Also the ability to create and drop databases, users, etc. A nice feature (that was also in the last version but I did not see it) is that you can parse your query and even format your TSQL. Pretty cool. The European Tour continues! I am speaking on REST and Data Access at the SDC in the Netherlands this week. Hope to see you there. I’ll be speaking at the CodeCamp in Cracow, Poland on Saturday. Not only will I be doing my Scrum and Data Access talks, but another speaker got sick and I will be doing a .NET Rock Interview with Richard and Carl. Should be a great amount of fun! See you there. On Monday and Tuesday I will speaking at DevReach in Sofia, Bulgaria. I’ll be doing my Data Access Hacks and Shortcuts and RESTful applications with Microsoft Tools sessions as well as the Daily Scrum talk with Remi Caron. Chris Sells is doing a keynote on Oslo and Central Europe DPE lead Luka Debeljak will be doing a keynote on Azure. Should be great. Hope to see you there. 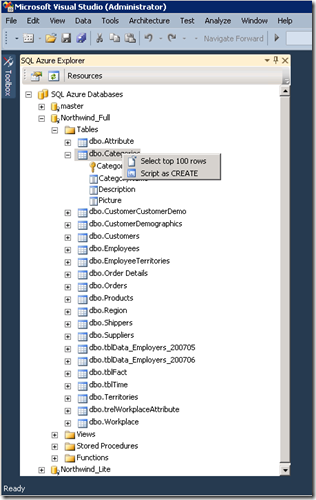 Here is a another pretty cool find for managing SQL Azure databases. 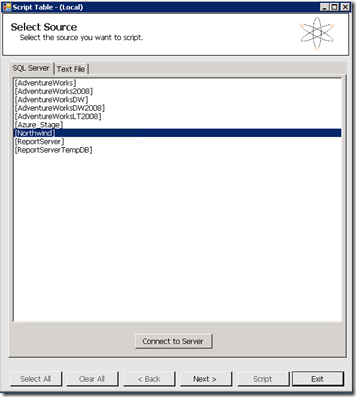 The SQL Azure Explorer for Visual Studio 2010 Beta 1 is a neat little add-in that allows you to explore your SQL Azure databases as well as run SQL statements. 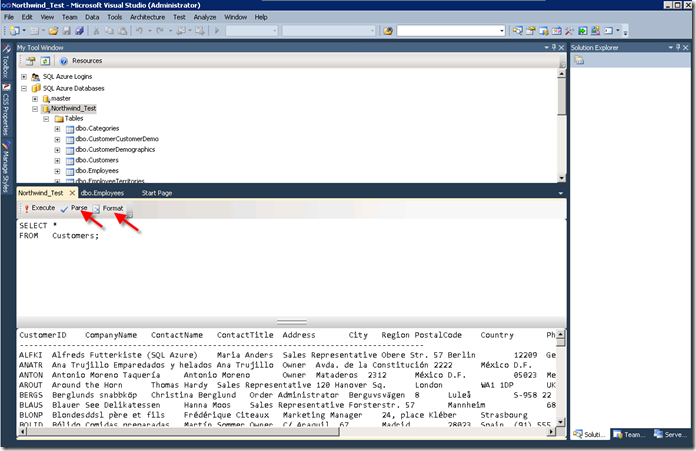 After you have logged in, you will see the Object Explorer tree. 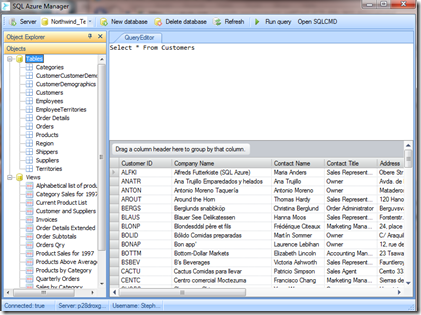 You can drill into the database objects or select the top 100 rows of a table or view. You can also right click on the database and say “Open SQL Editor” and type in SQL Statements against your SQL Azure database. If you are using Visual Studio 2010 beta 1 and spend a lot of time in Visual Studio, you may want to give the SQL Azure Explorer a try since you won’t have to leave Visual Studio. 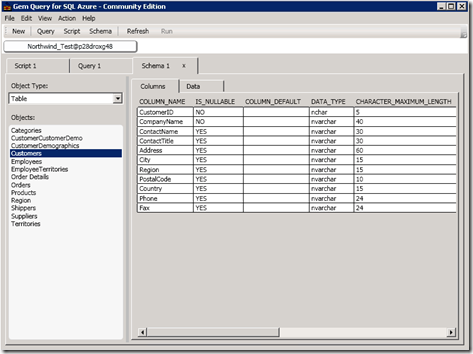 Last month I showed how to manually migrate schema and data from SQL Server 2008 to SQL Azure. 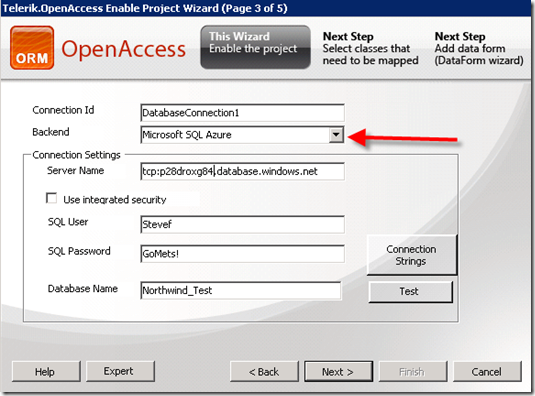 I also mentioned the SQL Azure Migration Wizard developed by George Huey in that post. Since then George has updated the tool (currently on 0.2.7) and it now has some great features that make it far more compelling than creating and fixing scripts generated by SQL Server. To get started, the tool will allow you to select a SQL Server database and then ask you to select which objects to migrate. It will then do an analysis of your database and attempt to fix the problems. For example, if you have a table with a TEXT column, it will automatically make it a varchar(max) and will also unbind XML schemas and UDTs. It will remove keywords (like PAD_INDEX as shown below) not supported by SQL Azure. After you connect to SQL Azure, the tool makes a script for you. You have the option to run the script as is, or you can save it to disk, or you can modify it in the window and run it in real time. The scripts have good comments in there telling you about some potential problems like XML data types, etc. After you play with the script, you can execute it and the tool will let you know the success or failure of the script. Now that you have migrated the schema, the hard part is over. Next you can migrate the data. The easiest way to do this so far is via Red Gate SQL Compare as I showed last time or via scripting the data via the SQL Server script wizard. 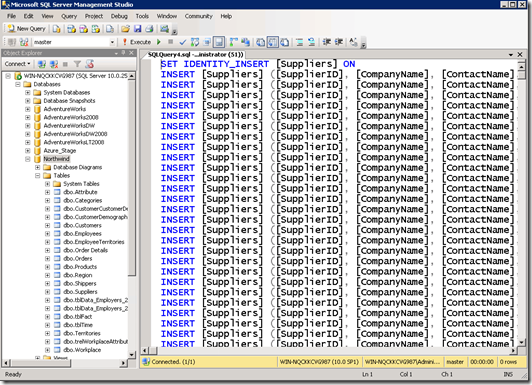 To get there right click on a database in SQL Server 2008’s SQL Server Management Studio and select Tasks|Generate Scripts. 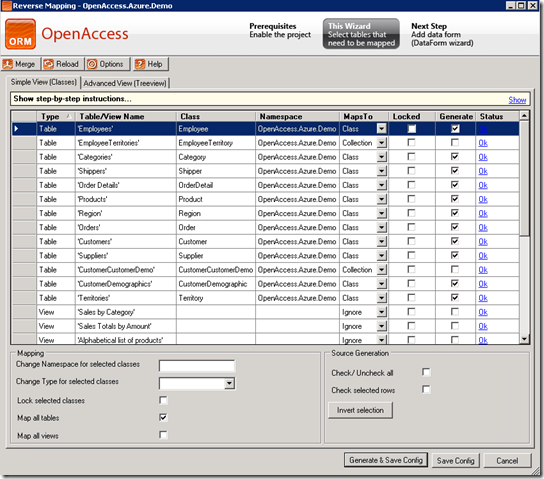 After you select your database you are brought to the Choose Script Options dialog. 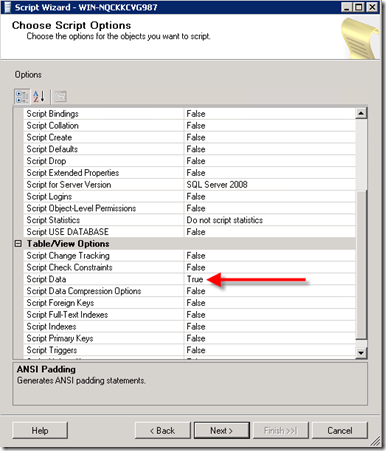 Turn off all of the other options except “Script Data” and choose on the next screen only the tables you have moved using the SQL Azure Migration Wizard. After you choose the tables to move over, you can then choose to send the script to a new window. You will notice that the only thing that was scripted was the INSERT INTO statements. Now select the tab that contains your query and then choose Query|Connection|Change Connection from the main menu. 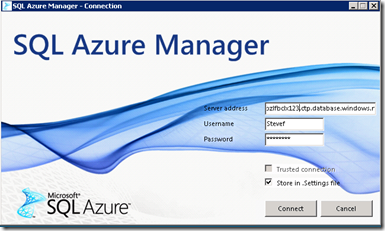 Enter in the login credentials you have for your SQL Azure account and then click on the Options tab and enter in the name of the database you are connecting to. After you connect you can attempt to run your query. Just make sure that your script will be compatible with SQL Azure before you run it. Meaning if you removed any XML data types, etc, using the Migration tool, you will have to do the same to your script. There is always some cleanup to run, but is pretty straight forward. For really large databases, you may want to highlight sections of the script and run it a table or so at a time to prevents timeouts to SQL Azure. You will also have to make sure that you arrange the script to sequence the INSERTs to coincide with the foreign keys constraints. 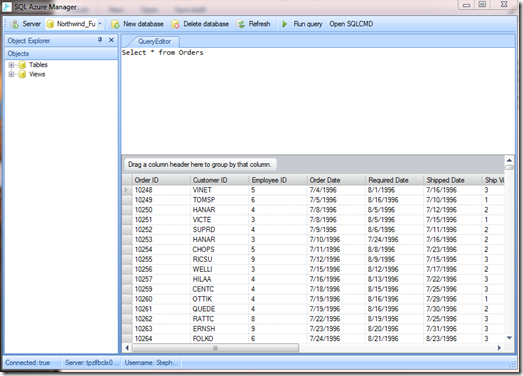 SQL Server is smart enough to put Order before Order Details, but not all objects does it do this for you. 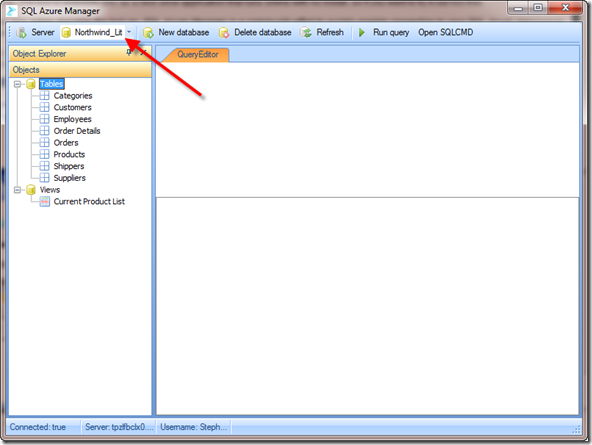 When you are done you can view your database using the SQL Azure Manager I talked about yesterday. As I showed on this blog a few weeks ago, SQL Server Management Studio support for SQL Azure leaves a lot to be desired. 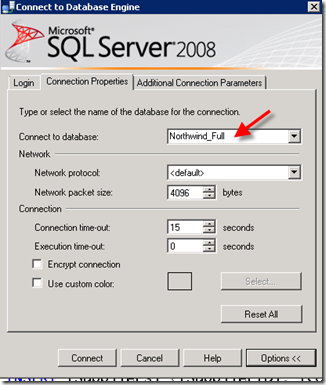 No changing databases, no object explorer, and no easy way to connect. Good thing that Maarten Balliauw and Juliën Hanssens built the SQL Azure manager. It is available here. It is listed as a proof of concept and “highly unstable” but after a few days of playing around with it, I have encountered almost no problems. The tool is available only as a click once application that runs online with no install, so you can try it out risk free. That is an understatement, the tool is great and saves lots of time. After the brief install, I was promoted with the login screen and I put in my login credentials and was off to the races. 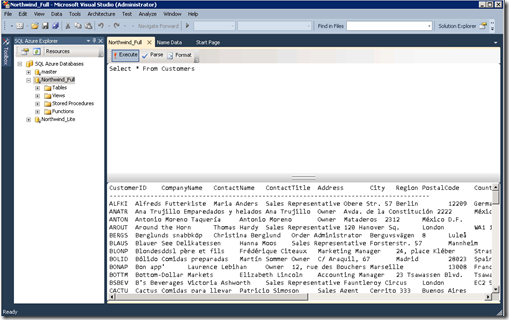 The first thing you notice is that out of the box we have two much needed features, the ability to change databases and a full fledged object explorer. 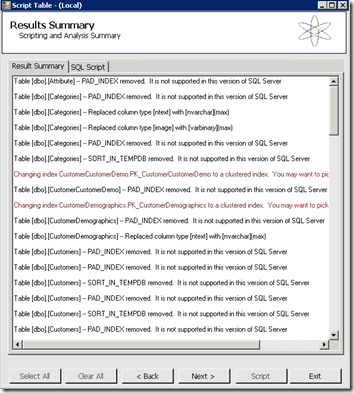 You can expand to see Tables and Views, but not Stored Procedures. 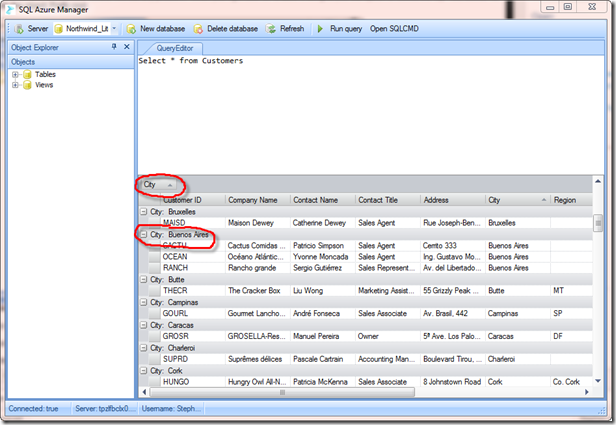 A pretty awesome feature is that you can hit F5 just like you would in SSMS and get the results as you can see here. I was able to write several TSQL queries and browse the results without any problem. When you right click on a table it will give you the option to Select the top 100, Select All, or delete the object. Pretty cool. Another cool feature is that you can drag a column up to the top to automatically sort. Here I sort by City in the Customers table. My only issue was that after a while, the tool times out, I suspect that this is a SQL Azure thing. While this is a 0.1.7 release, it is worth playing with. It will save you lots of time when managing your SQL Azure databases. The roadmap to a 1.0 release is to convert to WPF, move the app to codeplex, and make it more stable. Thanks to my colleague Aditya Pendharkar at Telerik for finding this gem of a tool. 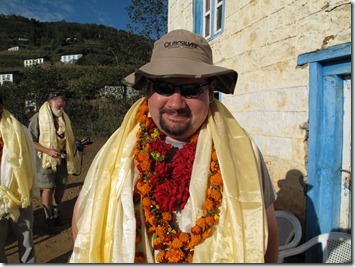 I have just completed an amazing 8 day journey to the village of Chyangba in a remote mountain area of Nepal. Chyangba is a village of about 55 homes inhabited by the ethnic group called Sharpa. Most of you will know Sherpas as the folks who climb up to Mt. Everest, and several famous Sherpas come from Chyangba. 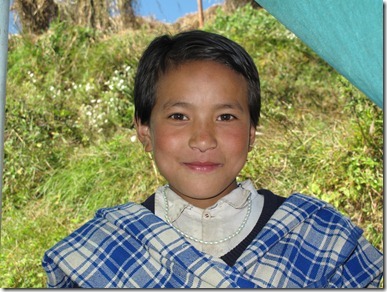 My friend and guide in 2003 and 2008, Ngima Sherpa, comes from Chyangba and I was going to visit him. 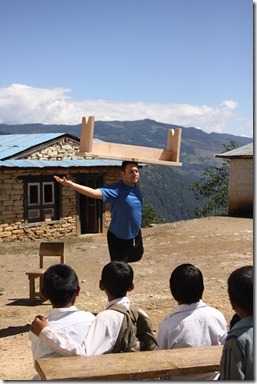 In addition, I was working with a charity called Education Elevated to help fix up a school and set up a library. 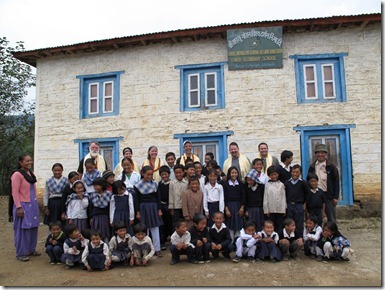 While in Chyangba, I worked on the school and library for 4 days. Getting to Chyangba is not easy. 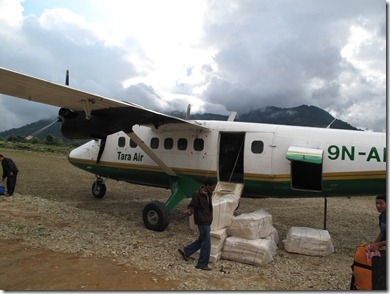 We had to fly on a 16 seat Twin Otter from Kathmandu to Phaplu. 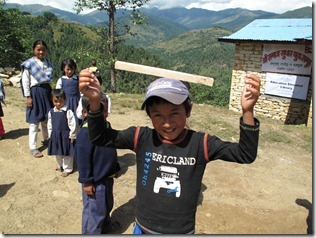 Phaplu has an “airport” consisting of a dirt strip and a dude with binoculars and a radio. After landing in Phaplu we trek a few hours (mostly in the dark) to our camp. Our camp was visited by some local kids in the morning and had great views of the valley. We then trek the whole next day and finally arrive in Chyangba. We start to size up the job ahead of us. 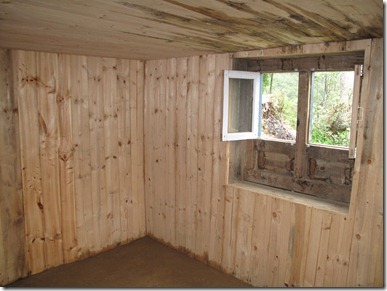 Here is a photo of an empty room we will convert into the school library. Being geeks we decide to be agile and use the scrum methodology. 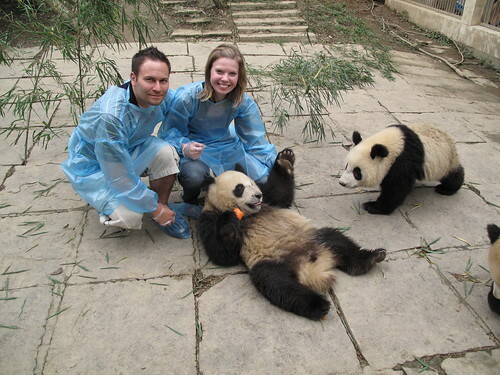 We decided we would re-assess the situation twice a day and see how far we get. We took stock of what furniture we had in the building (school desks, etc) and since we are MVP geeks, we decided to use a GUID system (globally uniquely identifier for Tanya and my mom, the only two non-techies I know who read my blog.) We put the benches into four categories: good enough, reinforce, take apart and put back together with some new wood, and ask Roger (the scrum master). 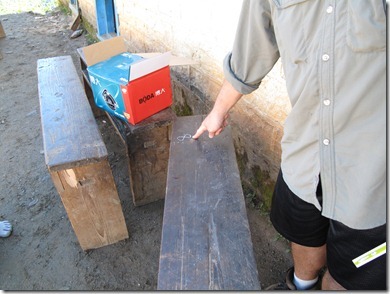 Here is a photo of a school bench with GUID # 8. 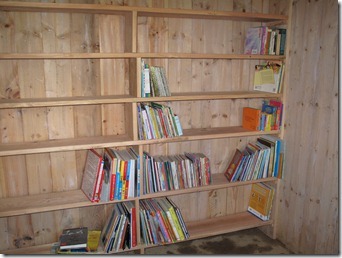 Roger the carpenter and general contractor (and scrum master) worked wonders. We computer geeks just hung around and he told us what to do. Before I knew it I was taking apart school chairs, benches, desks, etc, and rebuilding them. I got pretty good with a hammer. The kids started to imitate me. We did two sprints a day. Sprint 6 was on day 3 and we (mostly Roger) installed the shelves. We brought about 100 lbs of books and started to stack the shelves. After that some of us read to the kids and helped them practice counting in English. 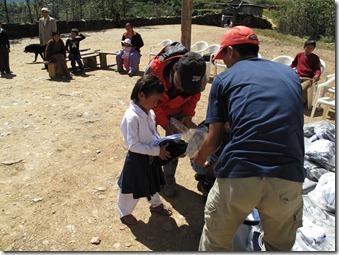 After we give out the uniforms, the kids all ran to change and then do a little dance for us. After we celebrate and I teach some of the kids the fist bump. The next day we had a final going away ceremony with the whole village and they put tons of Buddhist koda and flowers on us. 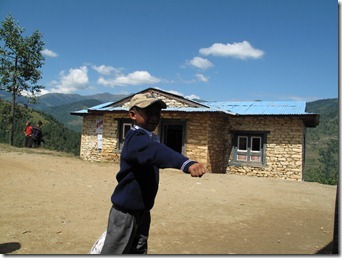 Since we were mostly going down, we trekked the whole way back to Phaplu in one day. We treated ourselves to $5 a night hotel rooms and flew back to Kathmandu the next day.